A man’s virtues are called good depending on their probable consequences not for him, but for us and society: the praise of virtues has always been far from “selfless,” far from “unegoistic.” Otherwise one would have had notice that virtues (like industriousness, obedience, chastity, filial piety, and justice) are usually harmful for those who possess them, being instincts that dominate them too violently and covetously and resist the efforts of reason to keep them in balance with their other instincts. When you have a virtue, a real, whole virtue (and not merely a mini-instinct for some virtue), you are its victim. But, your neighbor praises your virtue precisely on that account. One praises the industrious even though they harm their eyesight or the spontaneity and freshness of their sprit. One honors and feels sorry for the youth who has worked himself into the ground because one thinks: “For society as a whole, the loss of even the best individual is merely a small sacrifice. Too bad that such sacrifices are needed! 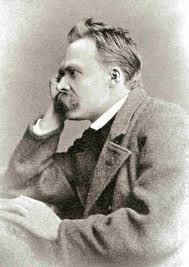 But, it would be far worse if the individual would think otherwise and considered his preservation and development more important than his work in the service of society.” Thus, one feels sorry for the youth not for his own sake, but because a devoted instrument, ruthless against itself – a so-called “good man” – has been lost to society by his death. Perhaps one gives some thought to the question whether it would have been more useful for society if he had been less ruthless against himself and had preserved himself longer. One admits that there would have been some advantage in that, but one considers the other advantage – that a sacrifice has been made and that the attitude of the sacrificial animal has once again been confirmed for all to see – grater and of more lasting significance. If this education succeeds, then every virtue of an individual is public utility and a private disadvantage, measured against the supreme private goal – probably some impoverishment of the spirit and the sense or even a premature decline. Consider from this point of view, one by one, the virtues of obedience, chastity, filial piety, and justice. The praise of selfless, the self-sacrificial, the virtuous – that is, of those who do not apply that whole strength and reason to their own preservation, development, elevation, promotion, and the expansion of their power, but rather live, in relation to themselves, modestly and thoughtlessly, perhaps even with indifference or irony – this praise certainly was not born from the spirit of selflessness. The “neighbor” praises selflessness because it brings him advantages. If the neighbor himself were “selfless” in his thinking, he would repudiate this diminution of strength, this mutilation for his benefit; he would work against the development of such inclinations, and above all he would manifest his selflessness by not calling it good! 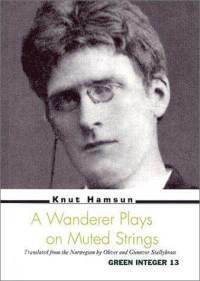 A wanderer plays on muted strings when he reaches the age of two score years and ten. That is when he plays on muted strings. If he comes too late in the autumn to the woods where the berries, grow, why then, he comes to them to late; and if one fine day he no longer feels up to making merry and laughing uproariously from joie de vivre, why then, it must be because he is old; don’t blame him for that! Besides, beyond question, it takes a certain degree of brainlessness to remain permanently contented with oneself and with everything. But favorable moments we all have. A condemned man sits in his thumbnail on the way to the scaffold; a nail in the seat irks him; he shifts position and feels more comfortable. It is wrong of a captain to ask God to forgive him – as he forgives God. He is simply dramatizing. A wanderer who doesn’t each day find food and drink, clothes and shoes, house and home provided, according to his needs, feels just the right degree of privation when all these splendors are absent. If one thing doesn’t work out, another will. And if that other fails to work out also, he does not go around forgiving God but takes the responsibility himself. He puts his shoulder to the wheel of fortune – that is to say, he bows his back before it. It’s a trifle hard on flesh and blood, it grays the hair horribly; but a wanderer thanks God for life, it was fun to live! I might put it like that. There was a scent of jasmine in a grove, and a tremor of joy ran through one I know, not for the jasmine but for everything – a lit-up window, a memory, the whole of life. But when he was called away from the grove, he had already been paid in advance for this annoyance. And there it is: the very favor of receiving life at all is handsome advance payment for all life’s miseries, each single one. No, a man should not believe in his right to more candy than he gets. A wanderer advise against all superstition. What is life’s? Everything. And what is yours? Is fame? Pray tell us why! A man should not insist on what is “his”; to do so is ludicrous, and a wanderer laughs at anyone so ludicrous. I remember such who never escaped that “his”; his fire at high noon and finally go it to burn in the evening. Then he couldn’t bring himself to leave its warmth for bed, but sat there making the most of it, till others got up again. He was a Norwegian dramatist. I have wandered around a good deal in my time, and am now grown dull and withered. But I do not hold that perverse graybeard’s belief that I am wiser than I was. And I hope, indeed, that I shall never grow wise; it’s a sign of decrepitude. If I thank God for life, it is not on the strength of any increased maturity that has come with age but because I have always enjoyed being alive. Age confers no maturity; age confers nothing beyond old age.